When I look at software companies, I like to take time and really understand their brand. With many small software companies, startups in particular, I find that their brands are nothing more than a simple, textual logo done in Helvetica type, sitting delicately on a background of cool blues. It may look pretty, but there isn’t much to differentiate one company from another. As a design student in college, I was challenged with a branding project for an existing small company. Because of my love of brands, my first instinct wasn’t to follow the “startup style,” but instead to create a brand that had more life to it. To do this, I designed a few illustrated characters, each with their own unique look and story. Brands with unique characters intrigued me. Other than just feeling more friendly, they also allow for better recognition with customers. When I was applying for jobs in San Francisco, I was hoping to find a company with a unique brand, such as the one I had created as a design student. I came across pMD, a small but innovative medical software company that had a brand I had never seen before in medicine. Their brand had characters, much like my own project! 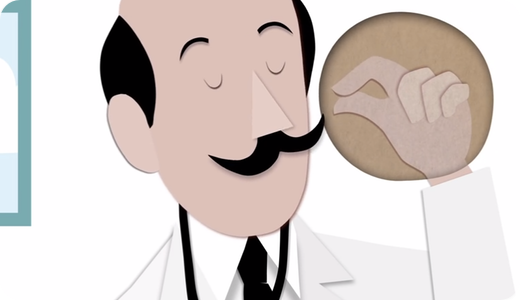 At the center of the pMD website was a tall, balding man with a thick mustache and lab coat. As I came to find out, his name was Doctor Mustachio. Immediately, I knew there was something different about this company, something that I wanted to be a part of. Now that I am on the team at pMD as a designer and engineer, I have a unique perspective and have seen the pMD brand and its characters come a long way. In 1998, when pMD was founded, Doctor Mustachio was nonexistent. In fact, there really wasn’t much of a brand at all, just a simple logo. It wasn’t until many years later that the brand began to grow and Doctor Mustachio came into the world. Doctor Mustachio started in a world of paper. His original creators used cut-paper to stylize him, his friends, and the world around him. This was the style I was introduced to when I was interviewing at pMD; it was elegant and beautiful. Our first ever promotional video was released shortly after I joined. It was created in the same cut-paper style, bringing Doctor Mustachio to life for the first time, with a voice and personality. As my time at pMD grew, so did Doctor Mustachio. We morphed his cut-paper style to something more modern and more flat. The days of cut-paper ended two short years after its creation. We worked with our friends at Belljar to create more interesting and uniquely stylized videos, evolving our brand each time. 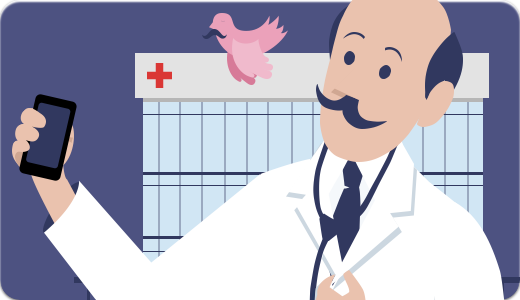 Today, we are on the verge of a new website with a new Doctor Mustachio. 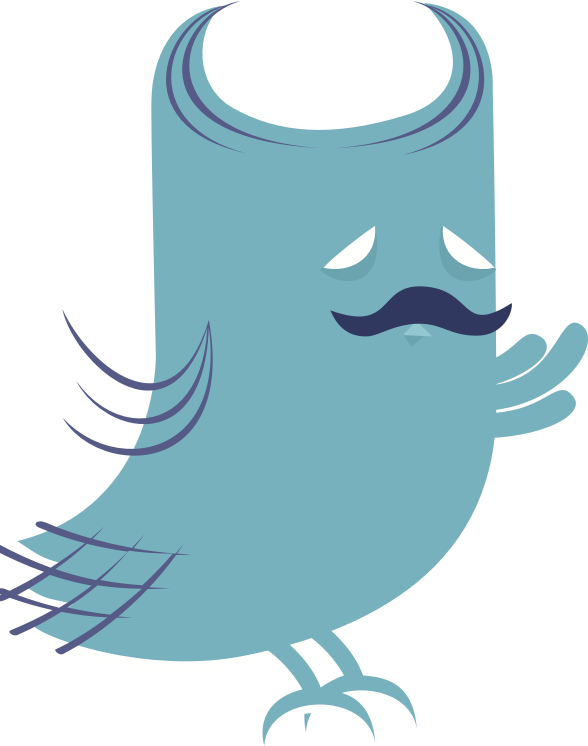 For a short time, you can still see our cut-paper Mustachio on the pMD home page, but come the end of summer, a new dawn awaits us, another step in the evolution process. At pMD, we’re not about the boring startup style, we’re about bringing our brand to life.